A new report “Deforestation and indigenous peoples rights in the Colombian Amazon” co-published by social justice and environmental NGO DEDISE and Forest Peoples Programme (FPP) underlines the critical role of secure land and territorial rights and traditional knowledge in sustaining one of the most culturally and biologically diverse forests on the planet. Drawing on grassroots interviews, community workshops and a review of official documents, the study assesses historical and contemporary direct and underlying causes of forest destruction and associated human rights impacts in the region. It finds that current deforestation and associated negative impacts on indigenous peoples are most rampant in Caquetá, Guaviare and Putumayo. Forest loss and rights violations in western and northern areas are driven by expansion of cattle ranching and commercial cultivation of illicit crops. According to the report, deforestation is closely linked to road construction, while mining and oil developments act as poles of colonisation leading to urbanisation, land grabbing, militarisation, conflict and human rights violations. Now there is a new bigger forest programme that we understand is funded by countries like Germany and the UK, but we know little about it. It is essential that the indigenous component of the Visión 2020 programme is developed with the full involvement of our traditional authorities and Cabildos. This programme must support our systems of self-government and it must build on our ancestral knowledge and our collective visions for forest management and self-determined development. In assessing possible future threats, the report highlights that a successful peace process could open up vast areas of the Amazon forest and eastern plains to foreign investment in oil palm, maize, sugar cane and soybean monocultures as well as extractive industries. The risk of increasing land grabs, deforestation, rights violations and displacement of small farmers to the forest frontier are heightened by the recent adoption of the controversial ZIDRES land and rural development law. This law risks facilitating the allocation of concessions to commercial interests, privatisation and the enclosure of so-called vacant State lands ( baldíos ), without adequate protections for the pre-existing customary collective territorial rights of indigenous peoples. Among other consequences, this law could allow companies to obtain legal rights over “baldíos” they had already accumulated through land grabbing in the past. 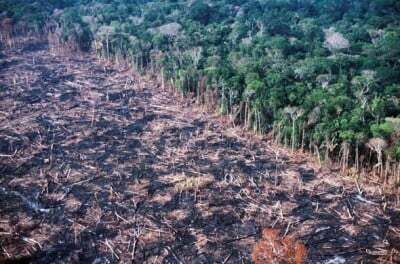 Given these risks, the report concludes that effective interventions to uphold human rights, slow deforestation, maintain biodiversity and achieve the Sustainable Development Goals (SDGs) in the Colombian Amazon must involve reform of the top-down system for land use zoning, concessions and territorial planning that allocates land and minerals to private commercial interests. Crucially, the report emphasises that more effective actions to protect and secure territorial rights are needed alongside reforms to ensure genuine respect for free, prior and informed consent (FPIC). Actions to strengthen self-government of indigenous peoples, apply traditional knowledge and reinforce indigenous agroforestry systems are identified as essential for achieving effective forest and climate policies in the region.